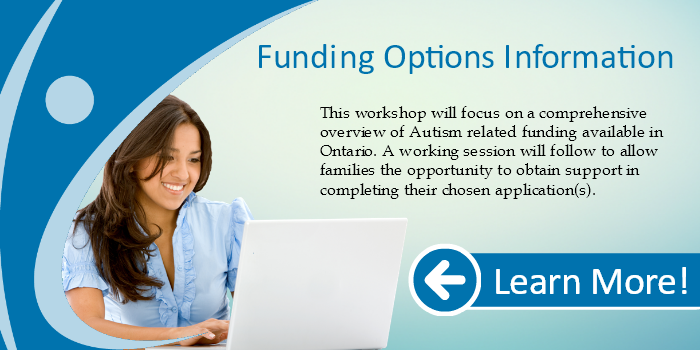 This workshop is for those parents/caregivers who have already attended the full ‘Funding Options & Information’ workshop and received the presentation information. 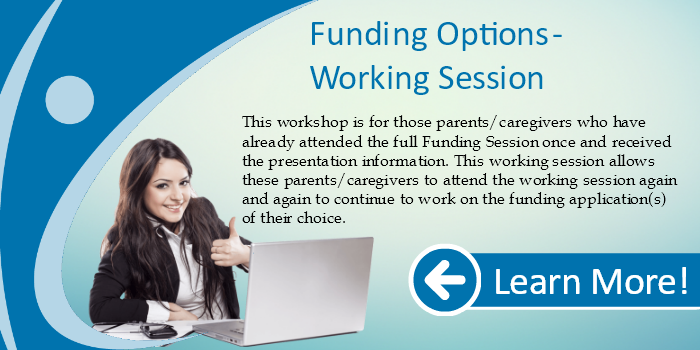 This working session allows these parents/caregivers to attend the working session again and again to continue to work on the funding application(s) of their choice. 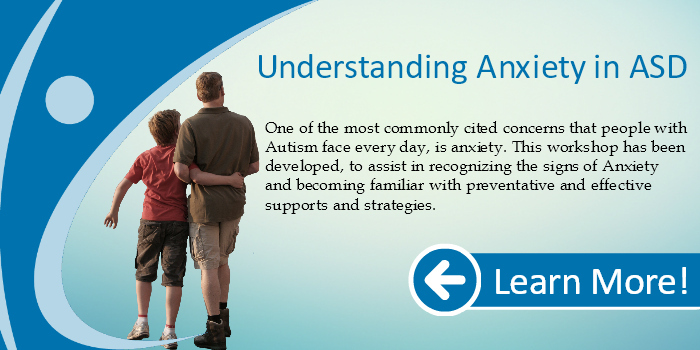 Parent/caregivers must register in order to attend, but can drop in for support any time between 12:30 pm and 2:30 pm. Please bring any applications you have already started with you, as well as copies of any necessary documentation. Several funding sources require recent tax assessments in order to determine eligibility.